Physicists and astronomers study the fundamental nature of the universe, ranging from the vastness of space to the smallest of subatomic particles. They develop new technologies, methods, and theories based on the results of their research that deepen our understanding of how things work and contribute to innovative, real-world applications. Physicists and astronomers study the fundamental nature of the universe, ranging from the vastness of space to the smallest of subatomic particles. They develop new technologies, methods, and theories based on the results of their research to deepen our understanding of how things work and contribute to innovative, real-world applications. Physicists explore the fundamental properties and laws that govern space, time, energy, and matter. Some physicists study theoretical areas, such as the fundamental nature of atoms and molecules and the evolution of the universe. Others design and perform experiments with sophisticated equipment such as particle accelerators, electron microscopes, and lasers. On the basis of their observations and analysis, they try to discover and formulate laws that explain the forces of nature, such as gravity, electromagnetism, and nuclear interactions. Others apply their knowledge of physics to practical areas, such as the development of advanced materials and medical equipment. Astronomers study the motions, compositions, origins, and other properties of planets, stars, galaxies and other celestial bodies. They use ground-based equipment, such as radio and optical telescopes, and space-based equipment, such as the Hubble Space Telescope, to make observations and collect data. Some astronomers focus their research on objects in our own solar system, such as the sun or planets, while others study distant stars, galaxies, and phenomena such as neutron stars and black holes. Many physicists and astronomers do basic research with the aim of increasing scientific knowledge. For example, they may develop theories to better explain what gravity is or how the universe was formed. Others do applied research, using knowledge gained from basic research to develop new devices, processes, and other practical applications. Their work may lead to advances in areas such as energy, electronics, communications, navigation, and medical technology. For example, lasers are now used in surgery and microwave technology is now in most kitchens. Astronomers and physicists typically work on research teams with engineers, technicians, and other scientists. Some senior astronomers and physicists may be responsible for assigning tasks to other team members and monitoring their progress. The National Aeronautics and Space Administration (NASA) and the U.S. Department of Defense are two of the largest employers of physicists and astronomers in the federal government. The scientific research-and-development industry includes both private and federally funded national laboratories, such as the Fermi National Accelerator Laboratory in Illinois. Physics research is usually done in small- or medium-sized laboratories. However, experiments in some areas of physics, such as nuclear and high-energy physics, require extremely large and expensive equipment, such as particle accelerators and nuclear reactors. Although physics research may require extensive experimentation in laboratories, physicists still spend much of their time in offices, planning, analyzing, and reporting on research. Most astronomers work in offices, but they also may spend many hours working in observatories. At observatories, they use ground-based telescopes to gather data and make observations. Increasingly, observations are done remotely via the Internet without the need for travel to an observatory. Physicists and astronomers need a Ph.D. for most research jobs. Many physics and astronomy Ph.D. holders begin their careers in a temporary postdoctoral research position, which typically lasts 2 to 3 years. A Ph.D. in physics, astronomy, or a related field is needed for most jobs, especially those in basic research or in independent research in industry. A typical Ph.D. program takes about 5 to 7 years to complete. Approximately 190 universities have doctoral programs in physics; about 40 schools have doctoral programs in astronomy. Graduate students usually concentrate in a subfield of physics or astronomy, such as condensed matter physics or optics. In addition to taking courses in physics or astronomy, Ph.D. students need to take courses in mathematics, such as calculus, linear algebra, and statistics. Computer science classes are also essential, because physicists and astronomers often develop specialized computer programs that are used to gather, analyze, and model data. Those with a masters degree in physics may qualify for jobs in applied research and development for manufacturing and healthcare companies. Many masters degree programs specialize in preparing students for physics-related research-and-development positions that do not require a Ph.D. Most physics and astronomy graduate students have bachelors degrees in physics or a related field. Because astronomers need a strong background in physics, a bachelors degree in physics is often considered the best preparation for Ph.D. programs in astronomy. Undergraduate physics programs provide a broad background in the natural sciences and mathematics. Typical courses are classical and quantum mechanics, thermodynamics, optics, and electromagnetism. Those with only a bachelors degree in physics or astronomy typically are not qualified to fill research positions. However, they may be qualified to work as technicians and research assistants in related fields, such as engineering and computer science. The median annual wage for physicists was $106,370 in May 2010. The median annual wage for astronomers was $87,260. Whether your changing jobs or changing careers, you have come to the right place. 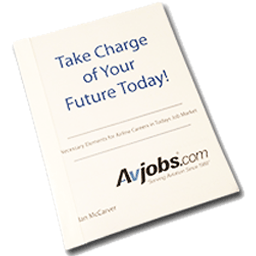 At Avjobs.com, We help People Get Jobs! Get started today by vsisting our Aviation Applicant Registration Options. With experience, physicists and astronomers may gain greater independence in their work, larger research budgets, or tenure in university positions. Some physicists and astronomers move into managerial positions, typically as a natural science manager, and spend a large part of their time preparing budgets and schedules. Physicists and astronomers need a Ph.D. for most management positions. Employment of physicists and astronomers is expected to grow by 14 percent from 2010 to 2020, as fast as the average for all occupations.